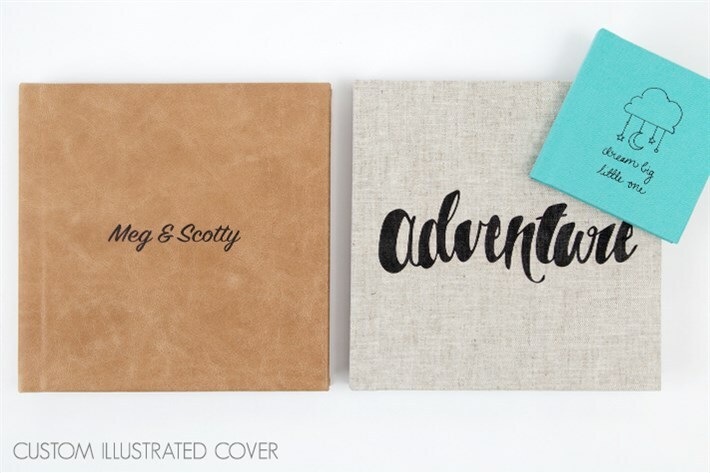 Bring your artistic vision to the forefront with our Custom Illustrated Covers. Your custom design is printed on a Leather or Linen cover in stunning detail, giving you an authentic one-of-a-kind keepsake. Create your own illustration or collaborate with us to create exactly what you are looking for! Cost is $50 per album and is available in black printing only.